Have a interesting idea about PutUp? (Visual,sound or anything else) Then write it down and play PutUp as You want. So you played PutUp and want something change. 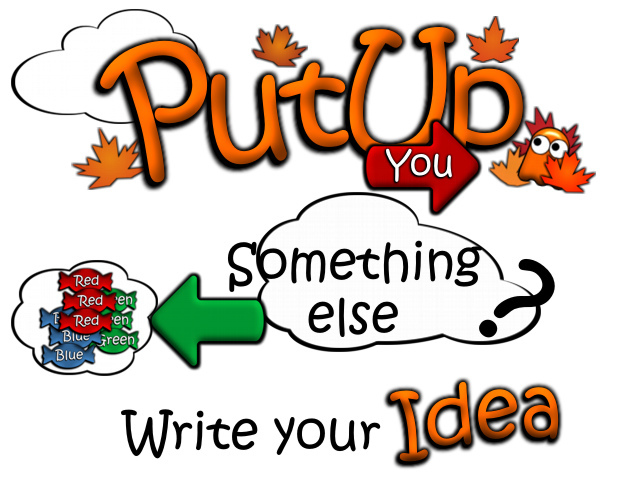 Then write your idea, what should be changed or added to make You or Somebody else happier playing PutUp. Hm, I'll have to think of something. Maybe you could try different themes: modifying the background, music & sounds. The last level of PutUp is in winter, you could apply that to the other maps.